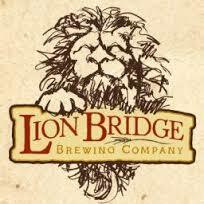 **Lion Bridge Brewing Whirligig** a griesette (sp?) style beer that has the aroma and flavor of bazooka bubble gum, grass, and pepper. If this beer was canned or bottled it would be a perfect tailgating beer for Iowa football Saturdays. This beer goes to show that not everything has to be imperial or barrel-aged to have great flavor. Very similar to Saison style beers with the difference being the low ABV and a more distinct hope profile? Not 100% on that stat, either way a terrific brew. **Toppling Goliath David** – I was lucky enough to get a bottle of this from fellow craft beer lover @storminspank. This double IPA was brewed in collaboration with Treehouse Brewing out of Massachusetts. Citra and mosaic hops shine in this beer making it very refreshing and drinkable. Another example of TG’s dominance in the IPA category. **Big Grove Arms Race Pale Ale** – a staple for me with continuous growler fills. The good news is a bar in my town of Mt. Vernon actually has it on tap, so thanks to Bill and Nick at Chameleon’s Pub and Grub for having this as a choice. 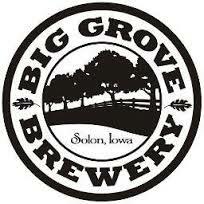 Big Grove just turned 1 and already made a mark, the sky’s the limit for the folks in Solon; both beer and food. 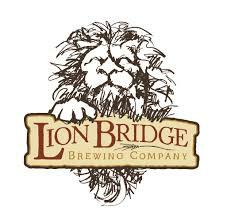 **Lion Bridge Untitled Saison** I’m a sucker for great saisons and Quinton at Lion Bridge nailed it with this brew. So quenching and refreshing, I long for them to have this on tap again. I almost put their Pink Peppercorn Saison on here but it was pretty limited, but damn, that was an awesome brew as well. **Toppling Goliath King Sue** – there isn’t much left to be said about the year TG has had. High demand nationwide, full flavored, refreshing beers, and King Sue might be close to being the best of the best. I hope to see this beer produced again sooner than later. Some great beers on my list. What does your Top 15 look like? If the year 2014 gives us any indication at the direction of Iowa Craft Breweries, in 2015 we will be in for a real treat. Cheers! Great list. The only other one I’d add is Black Betty From Albia Brewing. Never had it, is it readily available. Thanks for reading! Albia Brewing does have some great beers, as does Boone Valley Brewing and Guerrilla Brewing out of Waterloo. Also, New American out of Ankeny is producing some really interesting beers – they’re on tap at some of the local places like El Bait Shop and Mad Meatball; also in bottles at the HyVee on Fleur.